On 15th March in 2014, we were all shocked and saddened when our much loved mother, grandmother, great-grandmother and mother-in-law Margaret Monica Graham was killed in a car accident near Tumut. She was a very agile 81 year old heading to join family and climb the foothills of Mt Kosciuoszko. Mum drew a massive crowd to her funeral, one of the biggest Gundagai has seen, she touched the hearts of all who met her. She was very much a people’s person, loved the company of others & kept in contact regularly. She was one of a kind. Mum was 23 when she married Dad who was 12 years her senior, and already the father of a young daughter Gail. She moved to Bongongo, Adjungbilly which was very isolated in those days. She threw herself into life at Bongongo and proceeded to have 8 children in 10 years – David, Bill, Steve, John, Helen, Paul, Monica and Pip. She was a wonderful mother, wife & support to Dad and they led a very full and happy life at Bongongo raising their large family. In 2009 with much sadness mum and dad left their beloved Bongongo and moved to Gundagai. She particularly enjoyed her 34 grandchildren and had a special and close relationship with each and every one of them. Recently she welcomed 2 great grandchildren into her life. Sadly, after nursing Dad so lovingly for many years, she had only just begun to enjoy her new found freedom. Selfishly we thought we would all enjoy her company for many more years to come. Mum and dad have left us a wonderful legacy, we will all be eternally grateful. We still miss her so much! God Bless, one of the best. 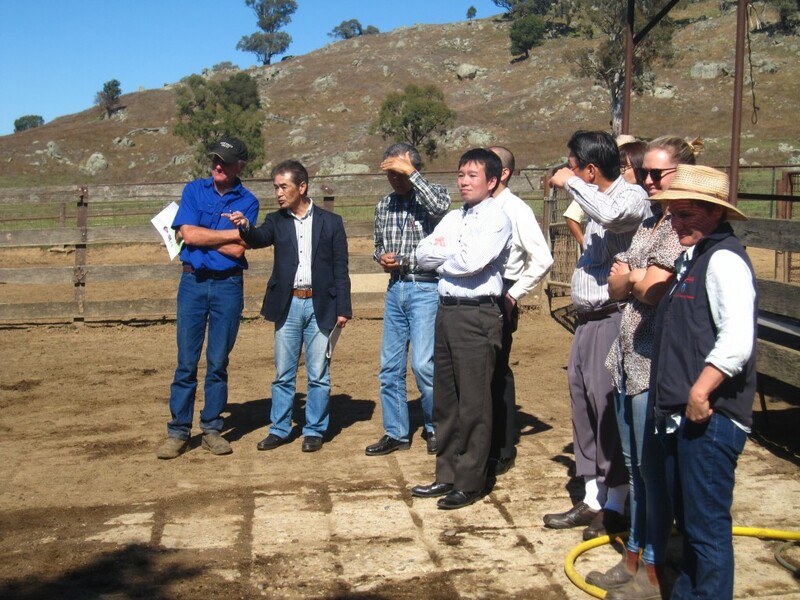 BONGONGO ANGUS is proud to sponsor the upcoming event “BATTLE ON THE BIDGEE STOCKMAN’S CHALLENGE” which will be on October 10th, 11th and 12th 2014 at Gundagai. 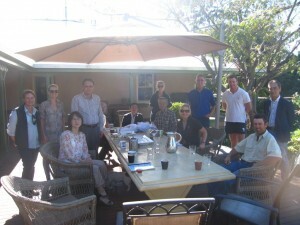 Visit the website www.battleonthebidgee.com for details. Our annual Spring bull sale will be held at RIVERVIEW breaking with the tradition of the last 2 decades of this sale at Bongongo. This has not been an easy decision but one necessary for many reasons. Sadly it will end the opportunity to physically present the Bongongo type commercial females that have been an annual highlight. However these Bongongo breeders will still be available from all our herds and linked to our website or by direct contact with David, Paul, John and ourselves. 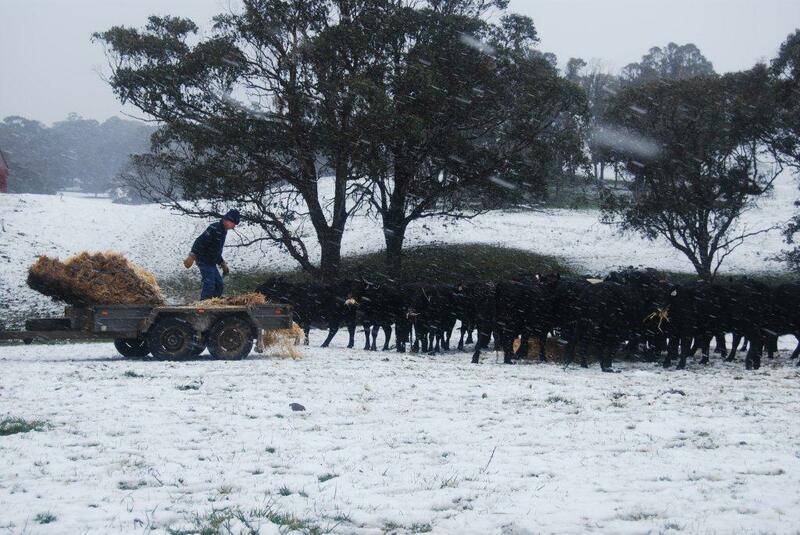 With this break in tradition the Spring 2013 BULL SALE will be at Riverview at 1.30pm on Wednesday October 2nd 2013. The bulls will be available for inspection from 10.30am on sale day and earlier by appointment. The sale will be by VIDEO AUCTION rather than the previous physical ring auction system. This is a growing selling system especially for seedstock sales and provides an easier and safer environment for all concerned. If you have any questions please contact us and we welcome your feedback. The Helmsman Selling System Auctions don’t have to be stressful environments. The Helmsman system combines the best features of an auction system and sale by private treaty. You have more time to consider lodging your bid. 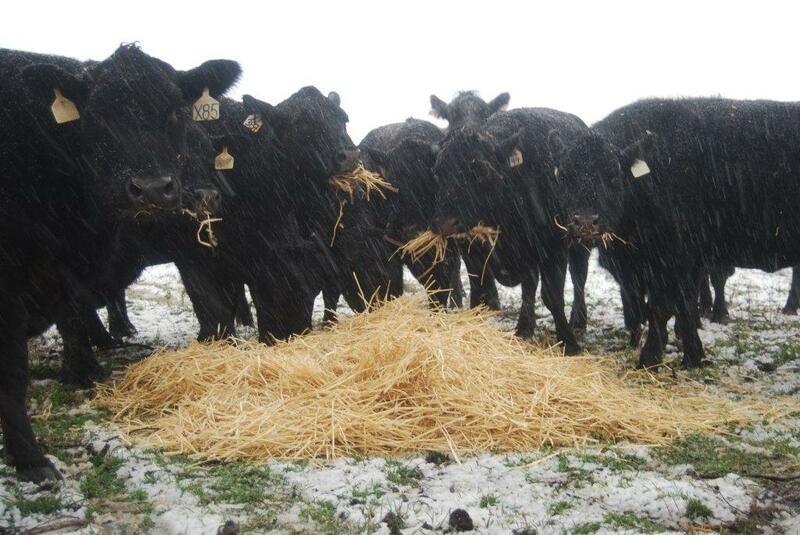 You can place genuine bids on any bull of your choice at any time during the sale period. 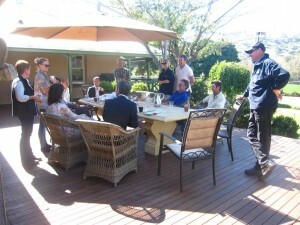 You have the opportunity to reassess each lot during the sale period without any pressure to make an instant decision. 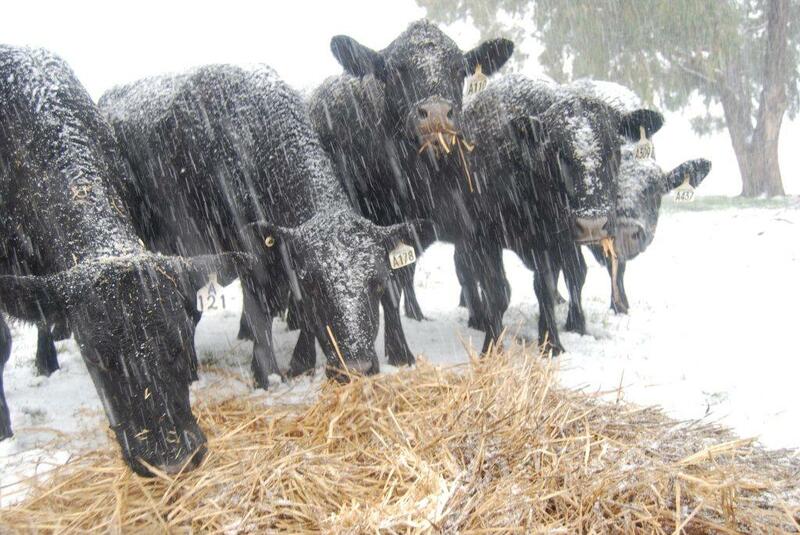 You can take home the bulls you want, irrespective of the lot order. If you are considering buying a number of bulls you will have a better chance to average your purchase costs in order to meet your budget. People say that the “Helmsman” system is buyer friendly because it helps them get better value for money. 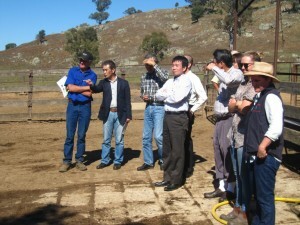 The simultaneous auction method enables them to switch to the best valued animal at any time during the sale. 1.On arrival intending purchasers need to register at the bid table and receive a bidding number. 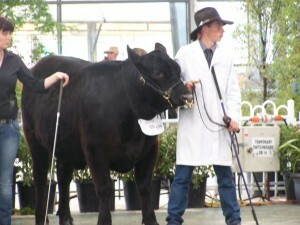 2.All animals are displayed for inspection prior to and during the sale. 3.When the sale commences all animals are on the market simultaneously. You may bid on any animal regardless of lot number, by filling in a bid card with your bid price and buyer number and hand to a “runner”. These bids will then be recorded at the table in the order they are received. Where bids of equal amounts on the same animal the first bid received will be the standing bid. 4.You may open bidding at the reserve price indicated for each animal in the catalogue and contest bids in multiples of no less than $500.00. 5.Bids are recorded, with the buyers number on a large board adjacent to the animals. You can bid on any number of animals at once and see at a glance whether your bid stands or has been over-bid. 6.A BID ONCE SUBMITTED AND RECORDED CANNOT BE RETRACTED. 7.The sale will remain open for 20 minutes initially. At the conclusion of 20 minutes a 2 minute bid clock will commence. A bid on any lot will restart the countdown clock. Any further bids on any lot will trigger the same process until a full 2 minute “no bid” period the sale will conclude on all lots. 8.All lots are open for sale for the full duration of the sale and all lots will conclude at the same time. 9.If your “first choice” animal goes beyond your limits you can still bid on any other animal in the sale. On the 7th January 2012 the curtain was drawn on the life of H.L. 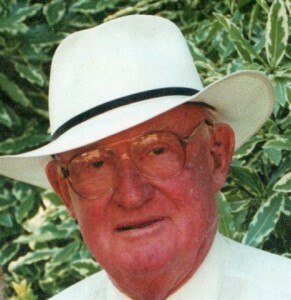 (Bill) Graham (aged 90 years) that brought to an end a large chapter in the history of “Bongongo”, the Adjungbilly area, the Shire of Gundagai and the wider community in agriculture in this country. The tremendous farewell given to Dad at his funeral was momentous and a tribute to the effect he had on all he encountered. His loss deeply felt by mum, his nine children, their partners and thirty four grandchildren plus so many friends that had such fond memories of Dad. The development of the Bongongo herd was testament to his vision of the strengths of Angus cattle being the largest herd in this area for many decades. 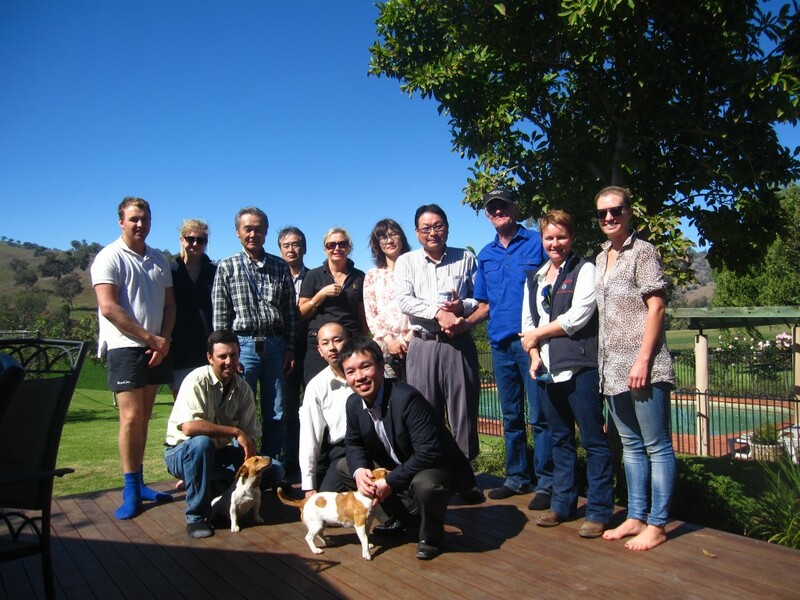 Dad and Bruce held large on property sales in the 1960’s an innovation that became popular over the last three decades and helped to establish the Angus breed as the predominant breed for future years. Dad captured the need to keep abreast of developing technologies which saw the early adoption of Artificial Insemination in 1972 and Embryo Transfer in 1980 into the Bongongo Stud. The purchase of Boonongo (formerly Boonoke North) near Urana in 1958 from the Faulkiner family was one of Dad’s great visions. The acquisition of a large merino breeding operation in the Eastern Riverina to supply Bongongo with woolcutters and surplus merino breeders. The development of this property and the sheep flock gave Dad great personal satisfaction. Again early adoption of laparoscopic AI in 1985 plus growing rice crops in the 1990’s to develop the irrigation potential of Boonongo showed the capacity of the man. respect for the profession, words of wisdom and dry humour. Comments starting with the phrase “As H.L. (or Bill Graham) would say……” are likely to be heard around cattle sales for some time yet. 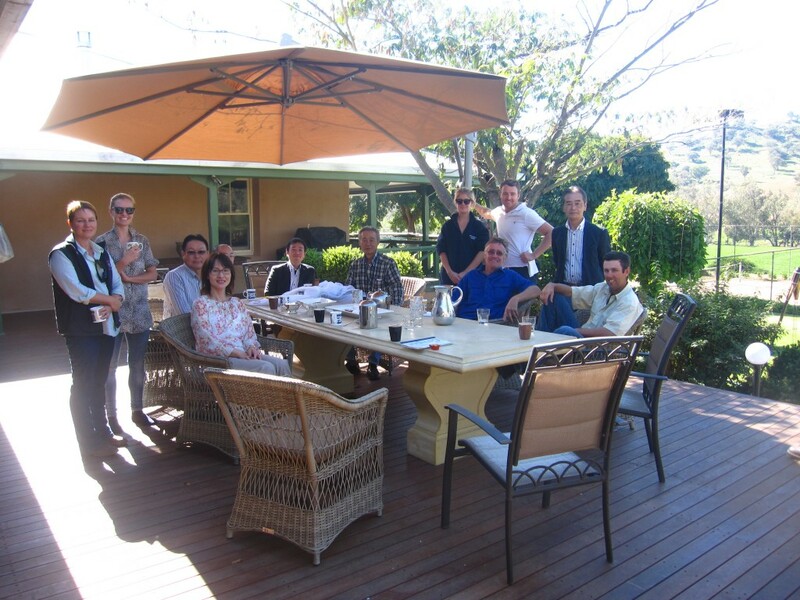 On April 17th 2012 Belinda King from Charles Sturt University Wagga bought a delegation of Japanese business people to Rivierview. The visitors spent time inspecting our Angus cattle and enjoyed some Aussie hospitality. The group included cattle producers, restaurant owners and members of the Hokuren Federation of Agricultural Cooperatives and a Japanese translator. 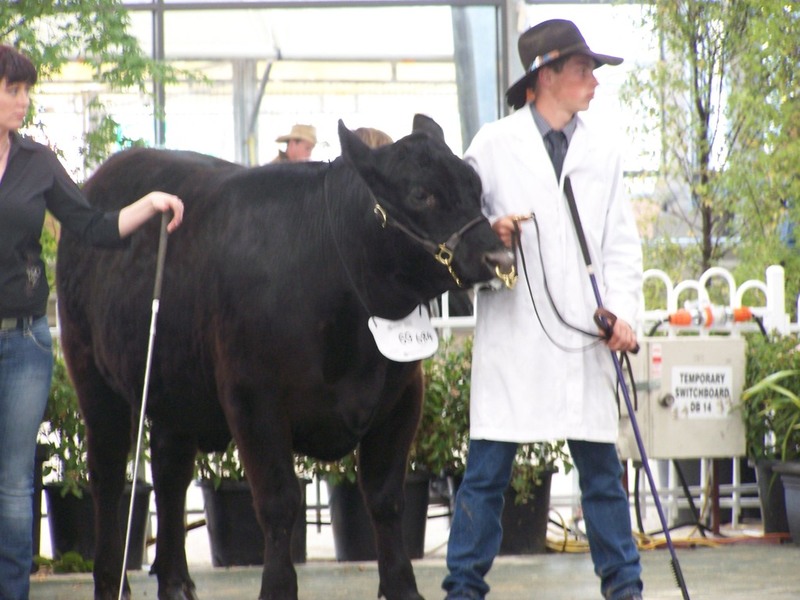 We are very pleased that an Angus steer bred and prepared by Gundagai High School’s Agricultural program has been awarded GRAND CHAMPION CARCASE at the 2011 Royal Melbourne Show scoring 91.817 points out of a possible 100. 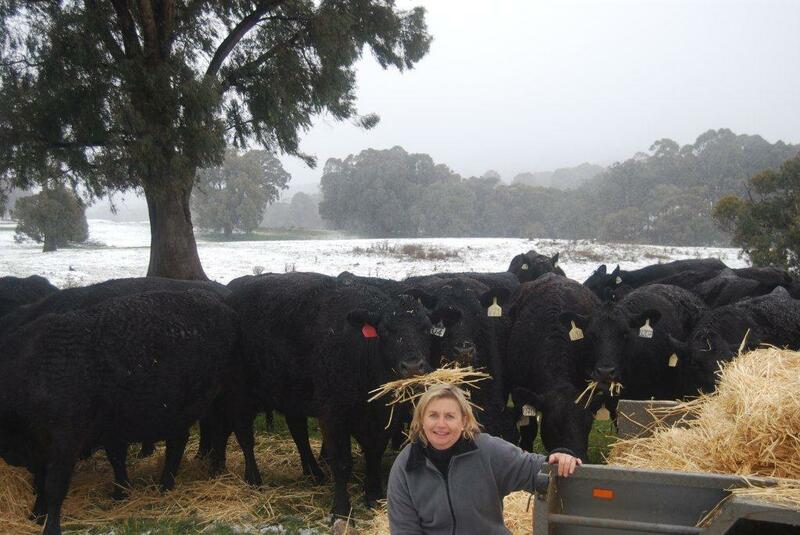 This steer won four of the seven major carcase awards on offer, also picking up Champion Export Carcase, the Highest Scoring School Bred and Prepared Carcase and the Champion School’s Carcase. “Shrek” as the students named him was sired by Bongongo D35 a full brother to Bongongo Bulletproof Z3. Shrek was able to outclass the other 171 entries despite not being placed on the hoof! 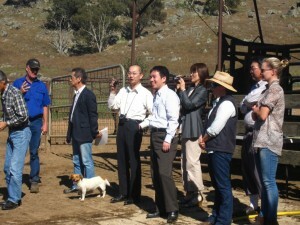 Bongongo D35 was lent to Gundagai High School’s Agricultural Department by Bongongo Angus principals Bill and Shauna Graham. The photos below are taken in August 2008, showing Bill & Shauna feeding their calving females in the snow at Adjungbilly.